After a long period of stagnation, talks between Armenia and Azerbaijan to resolve their decades-old conflict appear to have been revived. But the prospect of new peace talks has raised the question: What might “peace” look like? 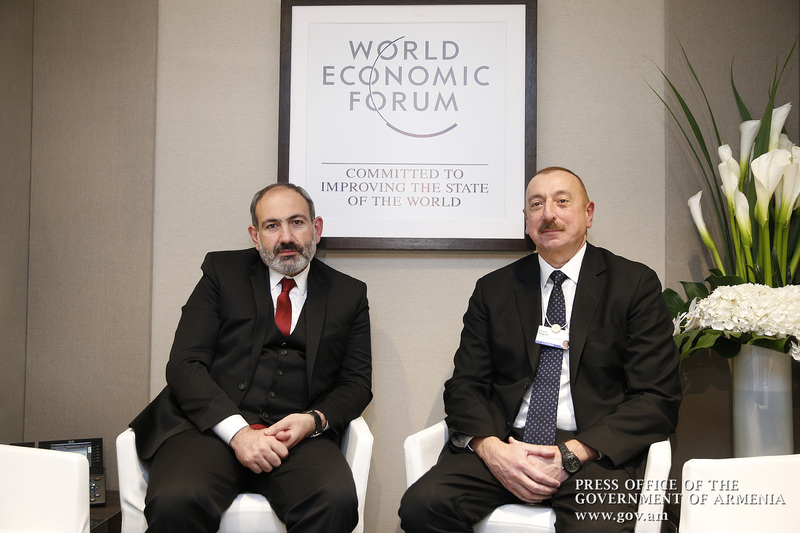 Armenian Prime Minister Nikol Pashinyan and Azerbaijan President Ilham Aliyev have now met three times in the last six months. All the meetings were classified as “informal” and on the sidelines of other events, most recently the World Economic Forum in Davos, Switzerland. But those discussions – along with four other meetings between the countries’ foreign ministers – have already resulted in a concrete agreement that has reduced violence along the front lines between the two sides, as well as the most positive rhetoric in years. And according to diplomats familiar with the content of the meetings, the two leaders have already begun to discuss the fundamental issues that would have to be at the heart of any peace deal over Nagorno-Karabakh, the territory that is internationally recognized as part of Azerbaijan but which has been controlled by Armenian forces since a bloody war between the two sides in the early 1990s. While the promise of a real peace deal remains remote, the recent developments have nevertheless heartened advocates of a resolution to the conflict. The diplomatic talks have been stagnant for several years, but Pashinyan’s rise to power in 2018 – after ousting a regime that had deep ties to Nagorno-Karabakh and its security structures – has raised the prospect of shaking up the negotiations. But the government appears, at least so far, to be adhering to the same framework that the two sides have been working under since the mid-2000s, known as the Madrid Principles or the “basic principles.” These envisage a return of the territories surrounding Nagorno-Karabakh that Armenian forces occupy as a security buffer; the right of those displaced from the conflict to return to their homes; security guarantees for the people of Nagorno-Karabakh; and an eventual resolution of the status of Nagorno-Karabakh itself. Armenia’s foreign ministry and Pashinyan’s foreign policy adviser declined requests from Eurasianet for comment. 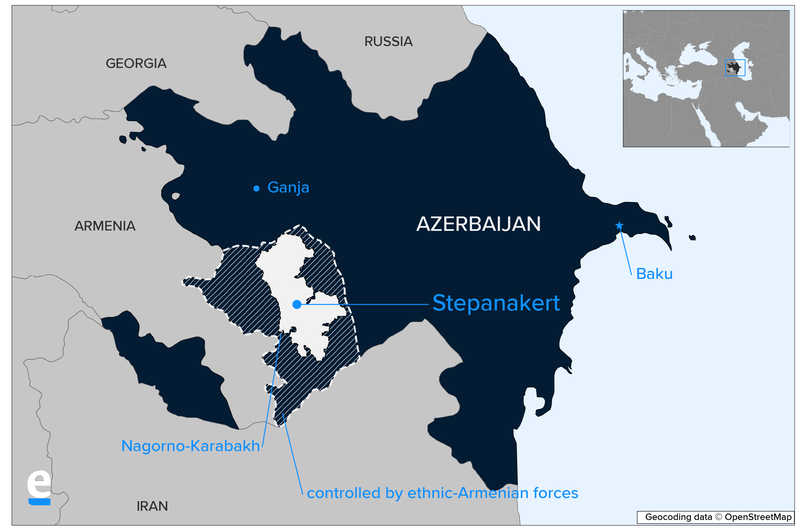 Azerbaijan has been more opaque about its position and has commented little publicly on the negotiations except to respond to statements by Armenian officials. Its foreign ministry and presidential administration did not respond to Eurasianet’s requests for comment. In any case, Armenia seems to be backing down on the practical implementation of that demand, given that it has carried out a number of talks already on Karabakh without the formal participation of the entity’s leaders. But Armenian officials have said they will continue to insist on the principle of Karabakhi involvement. “If such a thing doesn’t happen now, it doesn’t mean that we forgot it,” Mnatsakanyan, the foreign minister, said. With additional reporting by Ani Mejlumyan. Joshua Kucera is the Turkey/Caucasus editor at Eurasianet, and author of The Bug Pit. Ani Mejlumyan is a reporter based in Yerevan.